Email is still one of the best channels for driving marketing ROI so it comes as no surprise that marketers around the world keep sending billions of emails every day. Email marketing has traditionally been associated with outbound marketing and is indeed one of the prime examples of good old traditional marketing. Those who have managed to turn email marketing into a successful inbound channel, however, see better results. Whether you are creating a lead nurturing campaign, reaching out to prospects or want to keep in touch with your existing clients, here are some golden rules for creating inbound marketing emails that work. While your contacts will be people who are interested in your product or service they won’t be interested in hearing about it a 100% of the time. What people are really interested in is their own challenges and busy schedules. Make it your email campaign’s purpose to help them tackle a problem in their day, or to bring a jolt of inspiration and joy. Reduce the self-promotion to a minimum and you will see a much better response. If you have some exciting news about your product or service, definitely shout about it but don’t overwhelm your subscribers with messages they are simply not interested in. To illustrate my point, I will share an example from my own experience. I am keen on arts and crafts and after a few minutes browsing a stationary website, I decided to subscribe to their newsletter. Ever since I subscribed, I have been bombarded with emails telling me about the latest promotions of their products and asking me to buy and buy and buy. While arts and crafts supplies is something I am really passionate about, I am not going to want to buy a new scrapbook or scotch tape every week. What I might want instead, is some inspiration for my next project or some useful tips — say 6 photo frame designs to recreate in my scrapbook. This company, however, made it clear to me that they were interested in helping their sales figures and not my projects. Funnily enough actually helping me with my projects in their emails would have had a much better impact on their sales figures. After I got tired of ignoring and angrily deleting every email I received, I unsubscribed. The 62% of consumers who say that most of the marketing emails they receive include no content or offers that are of interest to them must have a very similar story to share. I am sure you have all dealt with a similar type of email marketing because you are busy modern people who have no time to waste on useless communication. Well so are your customers and prospects. Be considerate towards their time and they will be grateful. All emails you send to your contacts should not only be helpful to them but also serve a business goal. Be clear on what that business goal is for every email you send. Design your email so that it is very clear what you want people to do when they read it. Do you want them to visit your website’s contact page to submit a question? Do you want them to forward the email to their friends and colleagues? Do you want them to visit your social media pages and engage with you? Don’t bombard your contacts with a hundred different options. Make it as easy and simple for them as possible to take that desirable action. Have a primary Call to Action and make it your email’s goal to get people to complete this action. If you are creating an email with multiple Calls to Action, then make sure one of them takes prominence and the rest are ‘in case you have spare time’ options. The beauty of inbound marketing is that it provides you with valuable information about your contacts. This can then be used to create effective marketing messaging that will speak to their specific needs and challenges. Don’t bulk send an email to your entire database unless you are certain that it will be of interest to everyone. Segment your contacts by buyer persona, life cycle stage, previous engagement with your website and company. Use all the information that you have gathered about your contacts through progressive profiling, surveys or speaking to them to help you plan and create the type of email campaign that will catch their attention. Think about where contacts stand in their buyer journey, what stage of your sales funnel they are in and plan how to engage them and get them closer to making a purchase. Econsultancy’s first Realities of Online Personalisation Report found that 74% of marketers say targeted personalisation increases customer engagement. With companies striving to provide a personalised experience throughout all their digital channels, it is staggering that only 5% of companies personalise their email communication. Many find email personalisation tricky but with the right information about your contacts and with the right marketing automation tool it doesn’t need to be complicated. Email personalisation is about giving your email campaigns a personal touch and using the information and insights you have gathered about your contacts to send relevant and engaging emails. Personalisation goes beyond addressing your contacts by their name. It is important to make sure the content of your email is relevant for the person receiving it and that it address their specific needs and challenges. Personalisation doesn’t only need to be about using what you know about your contacts. You can make an email more personal by sending it from a team member’s email address rather than a company email. Adding a personal sign off and providing contact information for an actual person within your organisation can have a positive impact on email engagement. After all, people do business with people. And when I say proof read, I don’t only mean check your spelling and punctuation, I mean check how compelling your copy is. Every line that you write as a marketer has a purpose and that purpose is simply to interest the reader and inspire a desirable action. Did your greeting catch the reader’s attention? Does your main body make them want to click on to your website to learn more? Proofreading something you wrote yourself is a nightmare and with a short piece of copy for an email campaign, it is even trickier. You end up reading and re-reading what you wrote and you come up with a million other ways you could rephrase each line and ultimately completely miss the point. It is best to get a colleague or ideally someone who works in the industry you are targeting to read the copy and come back with their thoughts and comments. People tend to notice different things and when you are trying to reach a group of people with a single message it is important the message is well tested. When there is no time for this, though, this mental trick might help. Mental Hack: A trick that I use is sending a test email to my inbox (most email automation software offers this option). Before I open the email in my inbox I try and imagine myself as one of the people the email is targeted at (this, of course, requires you to have a very good idea of who your target audience is which is where buyer personas and insights about your existing contacts come in handy). I picture what they were doing minutes before they saw the email in their inbox, what worries and thoughts they have in their head. Then I go on and have a read through the email. I judge how helpful the content is for solving the problems that my target audience might be facing, I think about what emotions it triggers, I compare the language to the sort of correspondence the recipient usually receives. Is it easy to understand? Does it stand out? Is it worthy of their time? By imagining the process the recipients will go through when they get my email I am no longer the marketer who mulls over every phrase in an attempt to sound smart and attract someone’s attention. You will be amazed by the great ideas that will come to you by putting yourself in your contacts’ shoes. For more ideas on writing great email copy check out this blog. There is no need for me to tell you that whether someone will open your email depends a lot on the subject line. 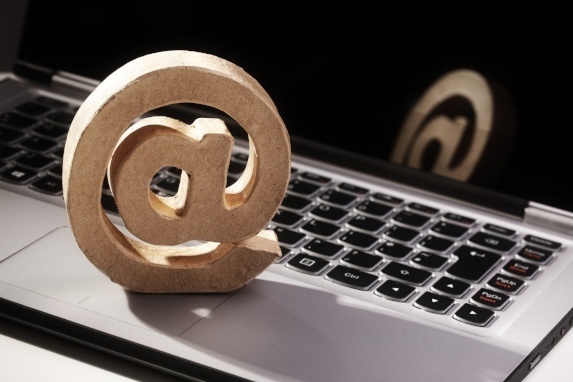 Research has found that 69% of email recipients will report emails as spam only based on the subject line! There are other factors that affect the open rate such as whether the recipient recognises your sender name or whether the email was sent at a suitable time and wasn’t buried under an avalanche of emails. Despite this, the subject line remains one of the most important weapons you have to get your emails opened. Use this space to excite and promise to deliver something of value to the reader. Keep the subject line short and punchy to ensure all of it is displayed in different email clients. Research shows that subject lines with 30 or fewer characters have an above average open rate. One tactic that many marketers use is posing a challenging question in their email subject line. Another way to get your email opened is by creating a sense of urgency in the subject line — ‘Sale ends tomorrow’ type of subject lines actually work. Most email marketing software will offer you a way to test your email’s delivery and preview how it will appear on different devices and email clients. Check for any problems in text alignment, how images appear, how visible links are and how much of the subject line and preview text is visible. Keep in mind that more and more emails are being opened on mobile devices every year. Campaign Monitor research revealed that 53% of emails are opened on mobile devices. Sending emails that are mobile friendly is absolutely imperative. There is nothing worse for your recipients than opening an email on their phone or tablet and only seeing the top corner of the email banner. Make sure your email has responsive design and preview how the email appears on a mobile device. To ensure your email gets clicks optimise your Calls to Action for mobile reading. Generally, buttons are easier to click on from a mobile device than text links and larger buttons work best, particularly when positioned in a strategic place with enough white space. Make sure you consider what device your audience is most likely to open the email on and create suitable CTAs to improve their experience and your click-through rates. For a few extra pro tips on creating awesome mobile friendly emails check out our free cheat sheet. Learn from mistakes and don’t be afraid to experiment! You can only get this far if you stick to what you know best. If you want to see outstanding results with every email campaign you send you will need to break the mould and try new things. Pay attention to your stats, analyse your results and brainstorm ideas for making things work better. Experiment with design, content, layout, timing and promotions, run A/B tests, track results and learn from each experiment. Don’t be afraid to do something you wouldn’t usually do, there is no way to know whether an idea is good if you don’t test it.